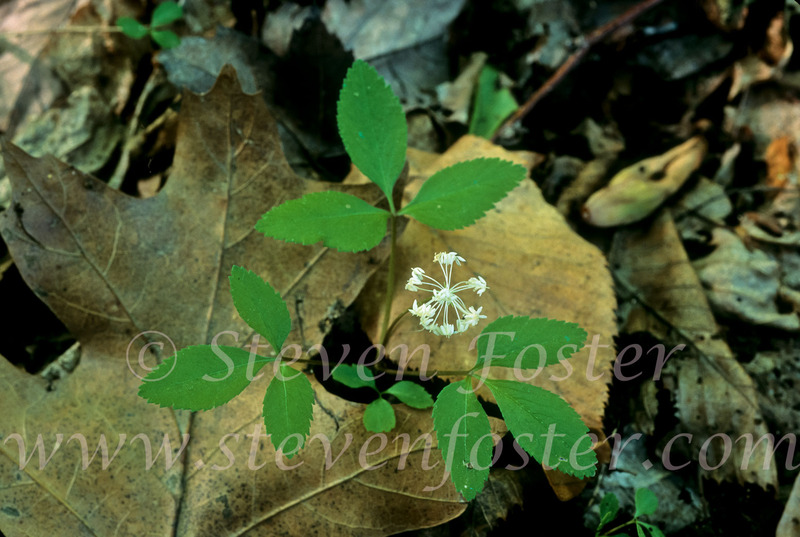 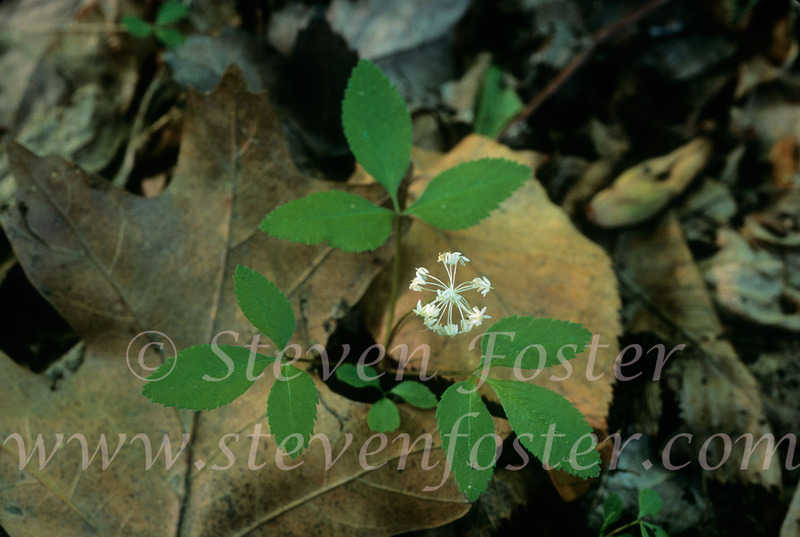 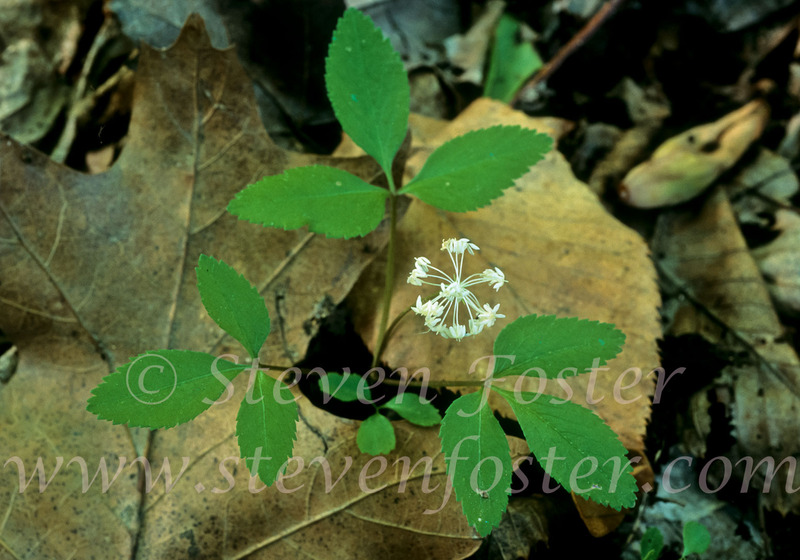 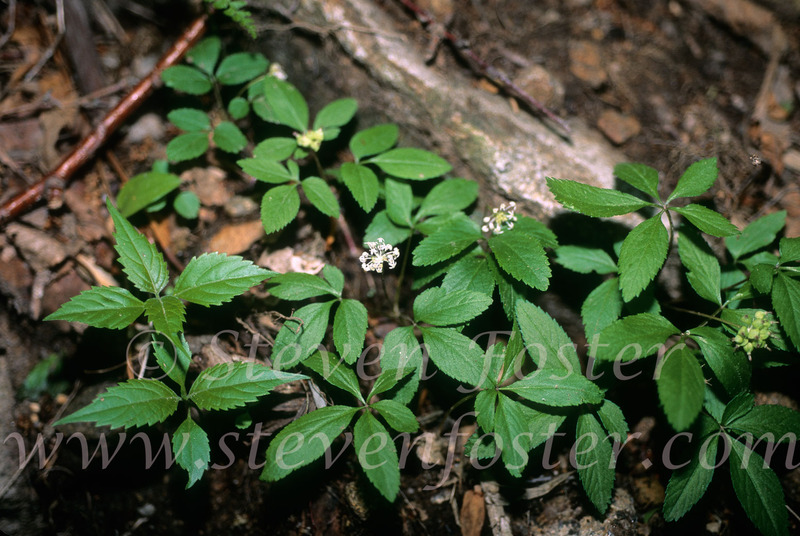 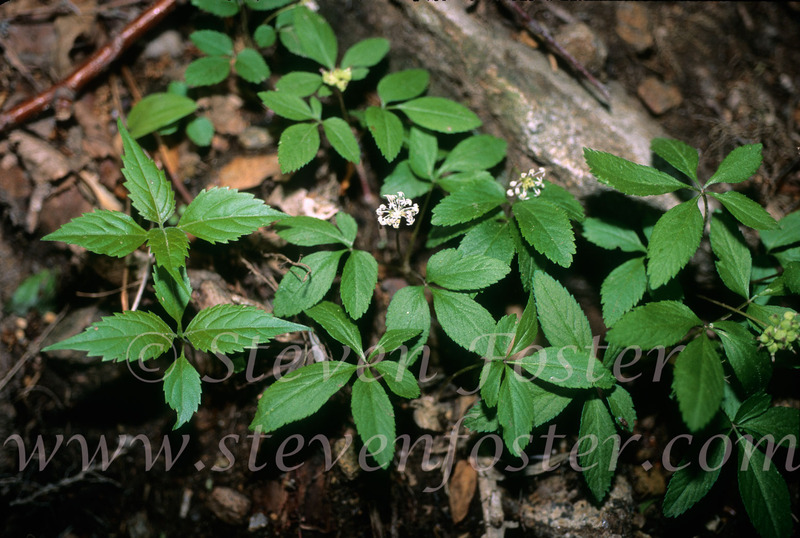 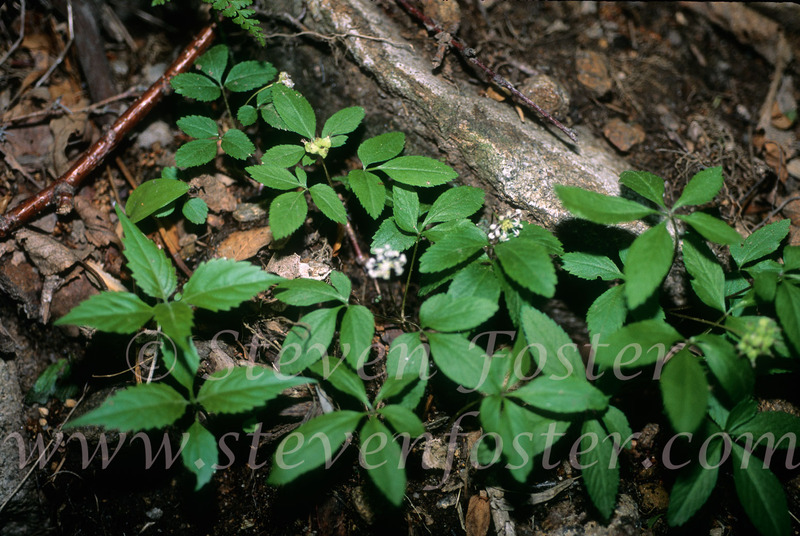 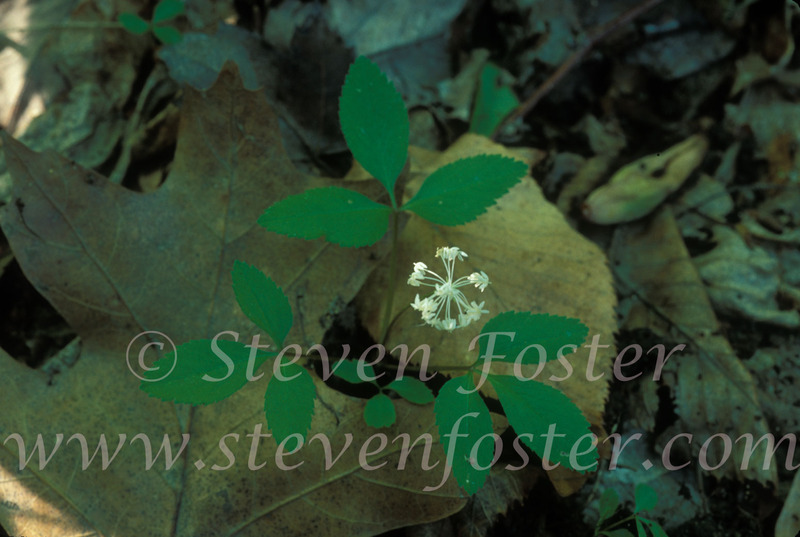 Photos of Panax trifolius, Dwarf ginseng. 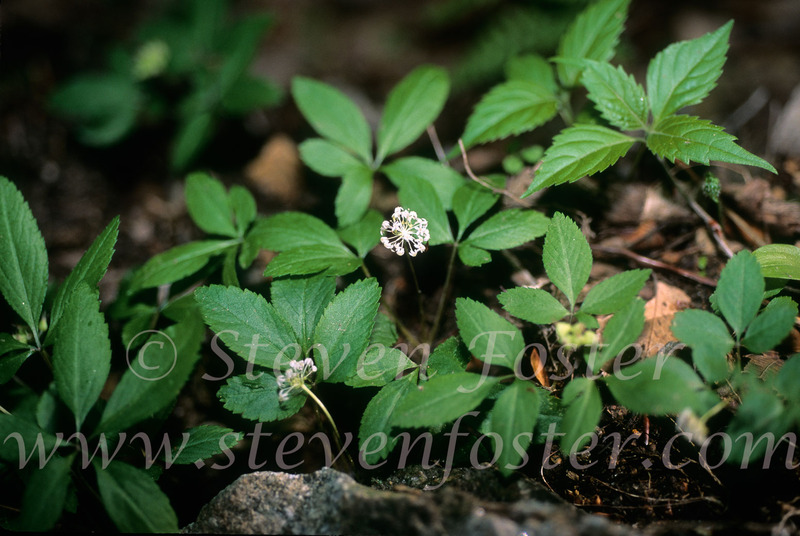 Panax trifolius, Dwarf ginseng the seldom used and little researched cousin of American ginseng. 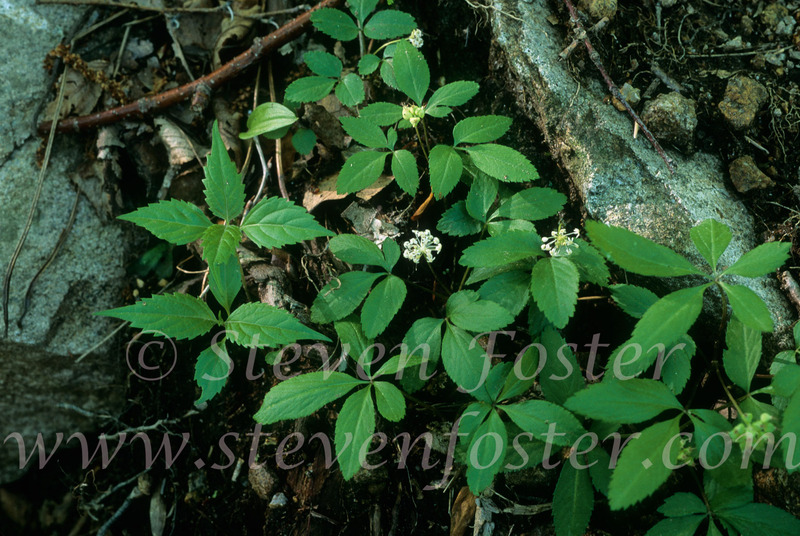 Cherokee chewed root for shortness of breath, coughs; tea for rheumatism, nervous debility, and gout. 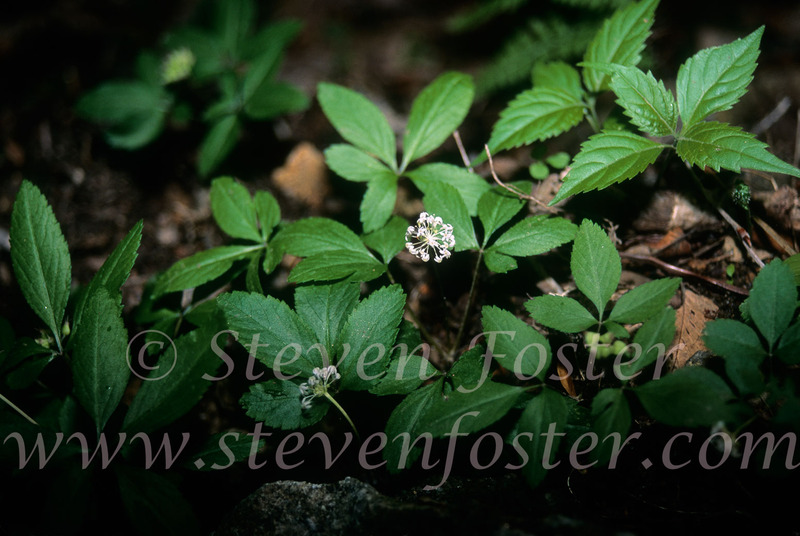 The Iroquois rubbed root tea on the arms and legs of lacrosse players in ritual to force opposing players to lose the ball. 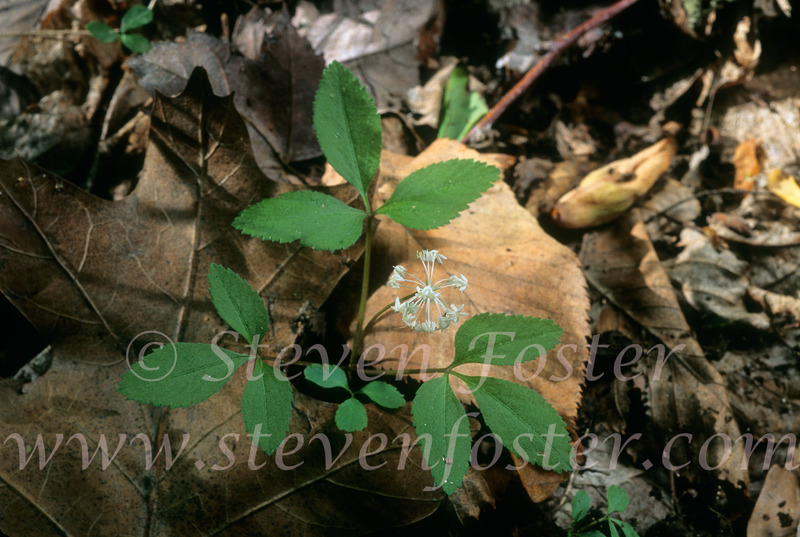 Sliced root placed in cup of water with fishing tackle overnight; root chewed while fishing to attract fish.